The year of all the 30th birthdays continues... It's my good friend Hilde's turn this time, congratulations! 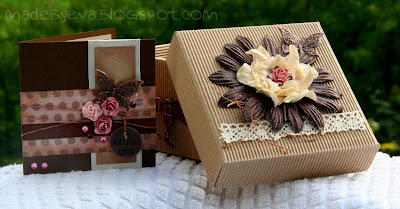 The card I made for Hilde is small, only 10x10 cm, designed to fit inside the decorated box. I quite like working in this format! It keeps everything concentrated and I think asymmetrical designs work well. I dug into my MME Wild Asparagus pad and found this cute polkadot paper. The dots are actually slightly embossed, giving it some extra dimension. 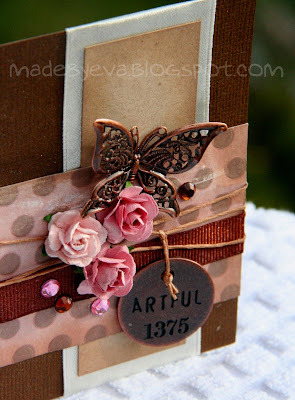 I added some ribbon and Scrapper's Floss, and clustered together some roses, bling and a metal tag by Tim Holtz, and the gorgeous butterfly of course. Glimmermist Old Lace made it sparkle! 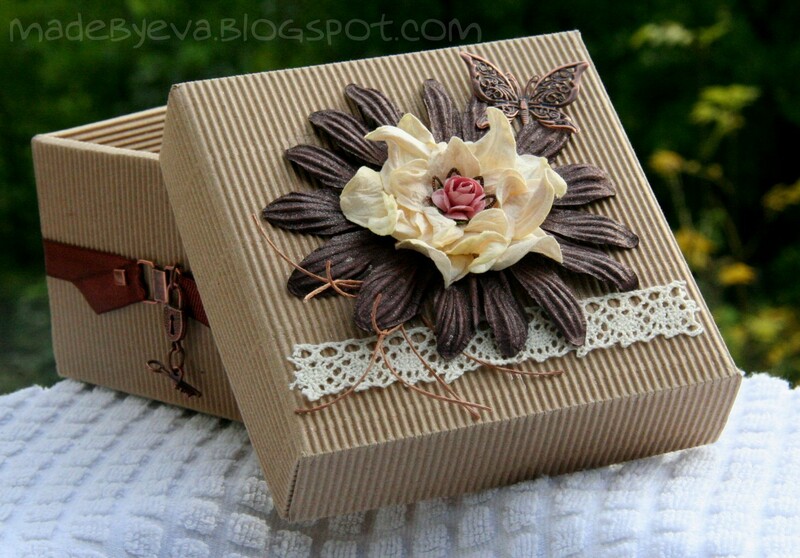 The box started its life containing fudge, which seems to have mysteriously disappeared... It must have fallen into my mouth somehow? Anyway, it now holds a gift card to out local craft shop along with some decorational elements. 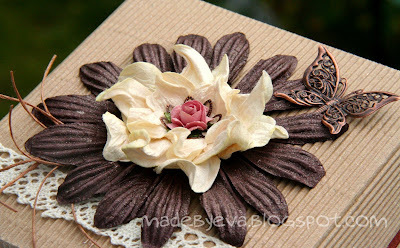 I covered the inside of the box and lid with more of the MME paper, and added a few elements to the outside. Misc flowers from stash, metal decor from Kort&Godt (I think), lace and Scrapper's Floss. A light spray of Glimmermist Old Lace on top gave it some shine.